Technology is making its presence felt in the real estate industry. The real estate industry continues to mature with the implementation of emerging technologies and the adoption of industry-best practices. 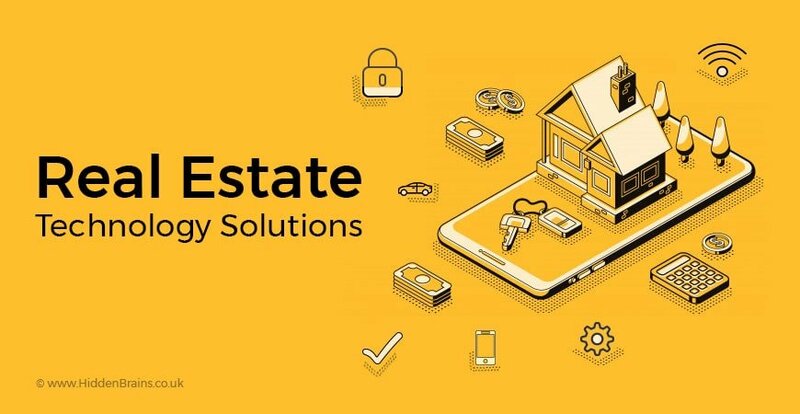 The rate of success of a new generation of real estate technology company lies in taking a holistic approach, modernizing legacy system and reimagining totally new web applications and mobile applications that addresses growing demand for affordability, community and flexibility. For stakeholders involved in the real estate industry, it’s indeed an exciting time to incorporate technological innovation into day-to-day operations and decision-making activities. Technology is adding new dimension making everything from buying to selling properties easy, as well as increasing bottom line results much more than ever before. On the other hand, the rise in technology also means there are more services available, and it’s becoming more difficult to stand out in the crowded real estate space. To expand your client base you need to adopt real estate technology trends. This blog outlines real estate technology trends and solutions that defines the future, opening up a new world of opportunity. Before you take a plunge into modernizing your operations, take a look at the world of real estate. Real estate is the largest asset class in the world. This industry contributes $3.5 trillion to the US GDP of which $836 billion is construction spend. How can Real Estate Website Help in Increasing Sales? Whether you are increasing workforce efficiency with mobile technology, increasing collaboration with social networks, predicting business needs with analytics or artificial intelligence, or driving down costs and increasing quality with robotic process automation, cloud technology may provide a first step toward enabling it. Today’s workforce has gone mobile and use tools and technology to keep pace with the change. Real estate firms are growing and providing tools to enable workforce to be mobile, defying challenges. Employers use state-of the-art web applications allowing employees to work efficiently from their laptops, tablets, or smartphones. It is important to partner with Web Development Company to get optimum results. The key lies in aggregating data from both structured and unstructured sources to get actionable insights. The primary advantage of having real estate apps is the ability to monitor real estate investments and property managers. As a result, real estate business owners can focus on core activities such as operations, lease administration, and tenant management. Real estate big data allows leveraging voluminous information in the accessibility of large information sets to make decisions on real estate investment and planning. Entrants are now leveraging machine learning to build upon the early wins in data aggregation to provide radically standardized and sophisticated ways to analyze real estate data. Smart buildings help find efficiencies in facilities management and energy consumption to automate planning and regular maintenance activities. Smart buildings can monitor use, regulate energy consumption, notify facilities teams about products replacement, as well as regulate temperatures and air quality to make adjustments based on time and occupants. With AI, sensors, machine learning and more to standardize and draw insights from industry data and platforms efficiently as well as design and manage spaces. Know more about how does Augmented Reality real estate app work? Real estate agencies are responsible for gathering and analysing property data, which can be a time-consuming task. Spending too much time on data collection means there is little time to analyse the data in order to advise sellers, generate leads, and ultimately, close deals. Automation tools help agents and clients, eliminate unnecessary processes and make decisions faster based on updated data. The benefits of automation technology extend to marketing efforts. Robots are automating several mundane and routing activities, such as cleaning homes and cleaning certain common sections of building by seamlessly controlling robots from anywhere via an app. Robots are being used in tasks which require collecting, deciphering and dealing with voluminous information for efficient building management. Considering the fact that agents are always on the move, access to information anytime, anywhere is the key to efficiency. Mobile devices like smartphones, tablets, and wearables help agents to access information. These tools are focused on driving sales faster, allowing collaboration and sharing information quickly, like any other enterprise software. While gaps once existed in industry, the cloud industry is now changing the way we rent, buy, and sell real estate. This technology leads to faster, cleaner transactions between real estate agent and buyer, giving contacts, changing schedules, contracts and closing documents, listings-based information. Offices and homes across the globe are taking a step ahead by successfully implementing/installing technologies empowered by deep learning and artificial intelligence. Smart office and home gadgets provide heightened security, increased comfort as well as improved energy efficiency. Each and every device right from Air conditioning, lighting devices, entertainment system to building automation can be regulated and controlled remotely using smartphone or tablet. Further, these devices can identify a pattern of use at home or office based on preferences, creating a hassle-free experience. Robust real estate software solutions can track and monitor the performance and downtime of building equipment, provide support services and monitor the performance of the asset. The goal is towards making the entire property management process well-organized. As challengers transform into industry-leading players – the evolution of real estate technology continues. The businesses that will adequately utilize the emerging technologies are likely to look more like the earliest technology businesses in the space and stay competitive. Looking to develop real estate technology solutions to stay ahead? Let’s discuss the possibilities.